As I sit here with my morning cup of coffee and reflect on the past three months, I can not help but marvel at how much has changed and the direction my life has taken. From beginning rehearsals in May, to opening night, to wrapping things up with the last third of the season, this summer has been far more challenging and rewarding then anything I could have imagined. This blog was written by Burning Hill Singer Delanie Wiedich. It is her first blog in a series of blogs from North Dakota Burning Hills Singers. It is a beautiful May morning when I wake up in a hotel bed in Plymouth, Minnesota. I lay there for just a moment, trying to wrap my head around what is happening. 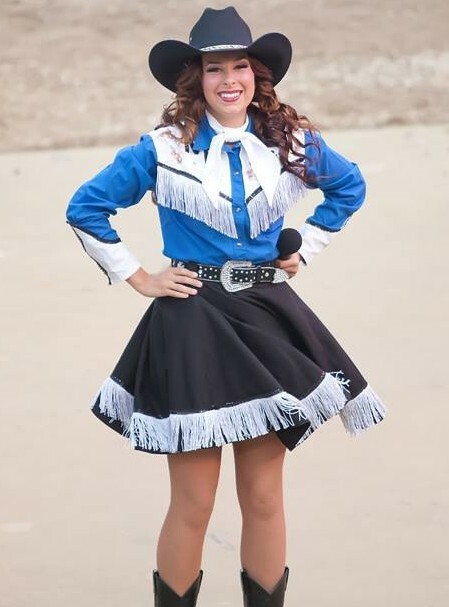 (MEDORA, ND) – The Theodore Roosevelt Medora Foundation, in conjunction with StageWest Entertainment, is excited to announce that three North Dakotans will join the Burning Hills Singers for the 2014 Medora Musical. Damon Fichter, Dickinson, and Delanie Wiedrich, Hazen, will join the Burning Hills Singers for the first time this season. Both were selected after February’s auditions in Bismarck and Fargo, where they beat out a talented field of performers vying for a spot in the 2014 Medora Musical. Misti Koop, Grand Forks, will return for her second season in the Medora Musical. 1) What made you decide to, or want to, audition for the Medora Musical?